I was a little hesitant to pick up this book because of the heavy scientific content, but I admit I was drawn in by that beautiful cover. I thought it conveyed whimsy and lightness that would balance out the science jargon. However, my initial instinct was correct and the story ended up being way too science-heavy for me. I felt like The DNA of You and Me ended up being more of a science lesson with a little bit of romance and self-reflection thrown in. And unless you are already familiar with the science, it’s probably not a lesson you will learn anything from. The author herself is a scientist that studies the sense of smell and perhaps because of this didn’t find it necessary to do any world building, if you will, for those of us that haven’t been in a lab since high school. Large portions of this book felt like reading another language. I also found the subject matter incredibly dull. The story was never able to make me care about the research of the sense of smell. I probably could’ve overlooked the science heavy content if the rest of the story made up for it, but the characters and romance really felt lacking to me, as well. I never really connected to Emily, even though there were many aspects of her that I felt should have been relatable to me. I honestly thought her actions were kind of sociopath-like in the beginning as she manipulated the situation to get closer to Aeden. And Aeden was awful. He treated her horrifically in the beginning. Somewhere along the way he ended up with genuine feelings for Emily, but I couldn’t tell you when. The romance was dysfunctional and confusing with a total lack of chemistry. 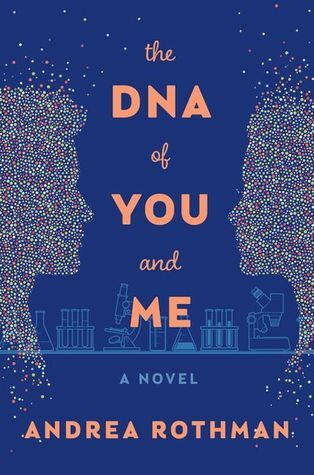 Overall, The DNA of You and Me was not the book for me. The cover is basically the only good thing I can say about it. The characters were not likable or engaging, the romance was dysfunctional, and the story was just really dull. If you are interested in science and have some familiarity with the subject matter, you might well enjoy that part and be able to overlook the characters and romance. I should’ve stuck with my initial instinct to pass on this one, though. Well. That was a huge disappointment. I’m just going to list all the ways it disappointed me. –This was basically a Contemporary Romance with a little bit of murder thrown in. It was not in the least bit scary or even suspenseful. The killer’s pre-killing ritual didn’t really make a lot of sense. A nod to Charles Manson, I guess? It still wasn’t scary. –The characters were boring and unlikable. It reminded me a little bit of Lola and the Boy Next Door in trying too hard to make the characters seem quirky and unique (speaking of LATBND, there is a brief cameo mention from that novel which was one of the few things I liked). There is just enough diversity thrown in to make sure the mean kids on Twitter don’t get mad. -Makani, the main character, has been exiled to her Grandma’s in Nebraska after some horrific event in her past that is often vaguely alluded to. She lives in constant fear of someone finding out what she did and thinks it might be why she’s a target of the killer. It’s eventually revealed and it’s…STUPID. It’s so stupid. It made me start to wonder if this book was supposed to be a spoof and I had been reading it with the wrong intentions. But, no. Unfortunately it’s supposed to be serious. -The romance. The romance really did feel like the main focus of the plot. I didn’t necessarily dislike Makani and Ollie’s developing relationship, but I didn’t love them together, either. Ollie was a more subdued version of the swoony male lead Perkins is known for and in another type of book I might have liked him a little more. There is a scene where they make out a bit during a group prayer that I felt was really disrespectful. -The murders. I have read several reviews that talked about how gory this book was so I was really expecting some intense scenes. Now I’m wondering if we read the same book? The murder scenes were incredibly brief with about the least amount of detail you can have while still staying in this genre. I don’t want it to seem like I really enjoy a lot of graphic violence, but if you’re going to have a slasher-inspired murder scene, you better make me squirm in discomfort and maybe feel a little sick. Instead I felt nothing but a little bored. -The killer. 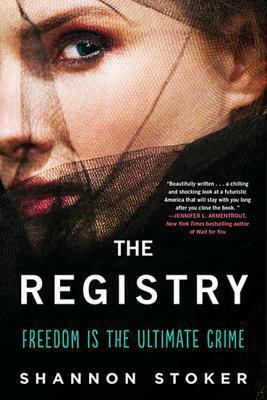 The identity was revealed much earlier than I thought it would be and it took with it a lot of opportunity for tension and suspense (though by now I don’t think this book was really capable of that much suspense, anyways). The identity didn’t really have a lot of impact and the motivation for the killing was really lame. 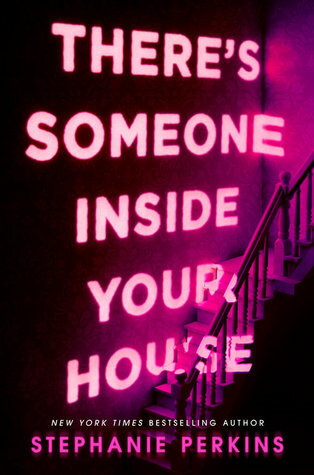 Overall, There’s Someone Inside Your House was a tremendous disappointment. It wasn’t scary, it wasn’t suspenseful, it wasn’t unique, it wasn’t clever, and it wasn’t very enjoyable. I was thinking that I would give this book 2 stars, but the only good thing I can really think to say about it is that I like the cover. I can appreciate the author’s effort to write something outside of her normal genre, but I definitely think she should stick with romance from now on. 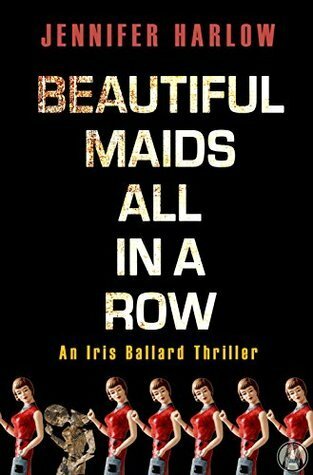 Beautiful Maids All in a Row will be available 10/11/16. In the acknowledgments, the author reveals that this is the first book she ever wrote at age nineteen. And it reads like it. The story is just one cliché after another with nothing surprising or original in the whole book. I guessed who the serial killer was in the third chapter and it took about another twelve chapters for the characters to figure it out. I really don’t have anything constructive to say about this book, so this is more of a note than an actual review. I will say that based on other reviews I’ve read I am in the minority opinion. And maybe if I had never read another book in this genre before I could have enjoyed it more. I’ve read nothing but great things about this series, so I was excited to finally read it. Unfortunately, it did not at all live up to my expectations. Celaena is supposed to be the greatest assassin ever, but she was betrayed and ended up in a prison camp. I would have liked this to have been explored further. We don’t really get any information about her assassin glory days. We get hardly any details about her former trainer, her fellow assassins, or her past other than in vague terms. In addition to the poor background, I felt that the rest of the world building was pretty shoddy. There’s talk of old magic and different gods, but they were never really explored either. Though, the magic was explained a little towards the end of the book, though I still didn’t totally understand it. While Celaena was a mostly likable character, I didn’t find her the great, strong female character everybody praises her for. She was often shallow and petty. Other than one time where she talked about how music makes her feel, there wasn’t really much depth to her. I also would’ve liked to have seen the other characters more developed. Then there was the love triangle. While I almost always hate love triangles, this one was particularly poor. Neither Dorian nor Chaol were developed enough for me to care that much about them. Celaena was also incredibly fickle about who she liked more at any given moment. 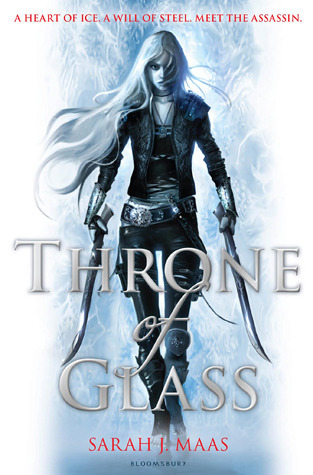 Overall, I just didn’t care for Throne of Glass. The pacing was slow, the characters were not very well developed, and the plot just didn’t really interest me. While I almost always have to finish any series I start, I don’t think I’ll be continuing this one.